A fresh take on apartment living. Now leasing 1 & 2 bedroom apartments within walking distance from Arcadia shopping, dining, and nightlife. Your lifestyle is anything but boring, your apartment should be just as unique! 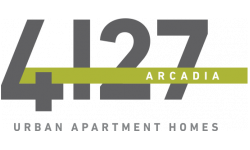 Arcadia 4127 offers a fresh take on apartment living, just minutes from your favorite restaurants, shops, and bars in Arcadia. Saturday will be a piece of cake – have friends meet at your place before grabbing a bite to eat at The Vig, Tacos Tequila Whiskey, Essence Bakery Café, Postino, The Henry, The Whining Pig, or Beckett’s Table! Pick up a few items to decorate your home with at nearby urbAna, a new outfit at Lelli Shop, some cute accessories at Mae & Marie, or a gift for kids of all ages at Whozitz and Whatzitz. Grocery shopping will become less of a chore – Safeway, AJ’s, Fry’s Whole Foods, and Trader Joe’s are all less than 10 minutes away. Biltmore, Old Town Scottsdale, Uptown Phoenix, Paradise Valley, and North Scottsdale are all just a short drive away. 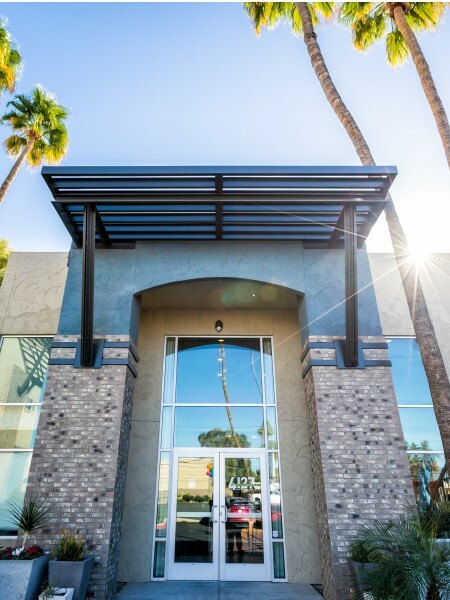 On top of being the best location for an apartment community in the Central Phoenix area, Arcadia 4127 offers an impressive list of community and apartment amenities for your enjoyment! We didn’t think having one swimming pool was enough, so we offer two beautifully furnished pool decks to lounge on. Grill with friends and family, and then relax at night by the fire pits. Show off your muscles (or build some!) at our state of the art fitness center, complete with free weights, exercise balls, and just about any machine you can imagine! You will enjoy a newly renovated apartment home, which includes upgrades like granite countertops, stainless steel appliances, hardwood style flooring, new lighting, and upgraded carpeting in the bedrooms. Call us today to schedule a tour or stop by if you’re in the area! We would love to welcome you to preview your new lifestyle at Arcadia 4127.